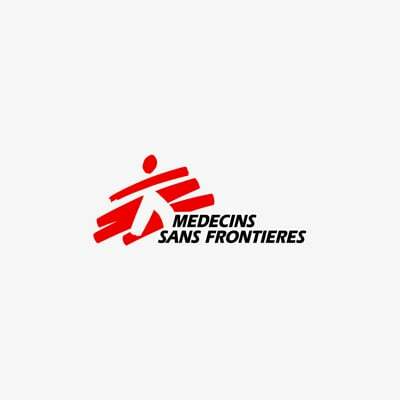 Médecins Sans Frontières (MSF) first worked in Somalia in 1979 and was present in the country with few interruptions between 1991 and 2013. MSF has worked in several locations: Baidoa, Dinsor, Huddur, Jamaame, Jowhar, Kismayo, Marere and the capital Mogadishu in the south; Galcayo and Guri El in the north; and BeletWeyne in central Somalia. Teams worked in the semi-autonomous Somaliland region as well. In August 2013, MSF announced the closure of all its projects in Somalia. The announcement followed the release of two MSF workers who had been kidnapped from Kenya's Dadaab refugee camp and held in Somalia for 21 months, as well as the murder of two MSF staff in Mogadishu and the release of their convicted killer after only three months in prison. These were the final blows in an accumulation of disastrous events; a total of 16 MSF staff were killed in Somalia since 1991. In a country with almost limitless need, MSF teams had addressed many different kinds of crises in Somalia, focusing in particular on nutrition, emergency care for people wounded in conflict, mother and child healthcare, and treatment of infectious diseases, such as cholera, measles, kala azar and tuberculosis (TB). Security has always been the major concern for teams working in Somalia, to the extent that MSF had to take the exceptional measure of utilising armed guards for protection. Starting a project anywhere in Somalia takes a great deal of time, patience, energy and negotiation. Even after the project is established, the prevailing security risks have always limited the access teams have had to communities—as have the periodic, unlawful moves by those involved in the conflict to prevent medical personnel and would-be patients from reaching each other. These constraints played a large role both in determining the size and type of operations MSF could maintain and in the organisation's ability to respond to emergencies. Security constraints have, in fact, been a major factor in every instance in which MSF closed one of its projects in Somalia. Projects were closed because deteriorating security conditions and changes in the political landscape made it impossible to ensure an acceptable humanitarian space in which to develop activities. Movement was too limited, access to vulnerable people was too irregular, and MSF workers faced too much pressure. Some projects stalled before they were implemented as well, usually due to failures in negotiations with local actors that either did not accept the conditions requested by MSF or made demands that MSF could not accept. MSF begins work in Somalia by assisting Ethiopian refugees in the country, later expanding its activities and experiencing its first security incidents. MSF begins providing assistance to refugees coming from the Ogaden region in eastern Ethiopia to the central Hiraan and southwestern Gedo regions in Somalia. MSF closes its mission in Somalia in mid-1982. MSF treats Ethiopian refugees around the city of Hargeisa, the capital of Somaliland, a semi-autonomous region in the north. On 24 January, 1987, 10 international MSF staff members are kidnapped in Tug Wajale, near Hargeisa, and held for two weeks before being released. MSF begins supporting a 120-bed hospital in Boroma but has to shut the project after four months because the roads from Djibouti are closed and there is no available air transport, meaning all transport links had been severed. While other international organisations are evacuating due to the deteriorating security situation, MSF arrives in Mogadishu in December for an exploratory mission. The security situation worsens dramatically after the fall of Siad Barre's regime. The United Nations Operation in Somalia (UNOSOM) and the US-led United Task Force (UNITAF) are deployed for humanitarian missions and peacekeeping. Meanwhile, widespread famine prompts MSF to open feeding centres. MSF teams arrive in Mogadishu in January, just as most other actors are leaving due to insecurity. War surgery programs start in several locations controlled either by governmental troops or United Somali Congress (USC) rebels: Digfer, SOS Kinder Garden, Medina, Benadir, Martini and Military Hospitals. Following numerous interruptions of activities due to security incidents, including the killing of a MSF driver in July 1991, MSF takes the extraordinary step of hiring private armed guards; in later years, Somalia will be the only place in the world where MSF has armed guards at their facilities. MSF launches a large media campaign in May—including a press conference in Paris—to call attention to famine in Somalia. Nutritional programmes open throughout the country (in Barbera, Kismayo, Jowhar, Gilib, Merca, Brava, Huddur, Wajid, Baidoa and elsewhere) and treat thousands of malnourished children. MSF's office in Barbera in the northwest and an MSF house in Kismayo in the south are both looted. In March, United Nations Security Council resolution 751 establishes an observer mission in Somalia (UNOSOM). In August, MSF holds a press conference in Nairobi opposing UN peacekeeping operations in Somalia. MSF states that the operations blur the line between military and humanitarian objectives. It is an extremely volatile and tense situation for MSF teams on the ground during this time; there are burglaries, a guard is shot, and threats are made against international staff. In November, MSF suspends surgical activities at Medina Hospital in Mogadishu due to a conflict with the personnel. In December, the UN authorises the deployment of a US-led international task force (UNITAF) to restore order and safeguard relief supplies. Operation Restore Hope begins. In January, an MSF car is caught in an ambush and shot at in Mogadishu. The UN's Unified Task Force (UNITAF) troops attack International Action Contre La Faim/Action Against Hunger's (ACF) compound in Mogadishu on 17 January, killing one Somali worker and wounding eight. Six MSF international staff were present in the house. MSF issues a press release condemning the attack on the compounds and presents a formal complaint to the UN Security Council. In February, an MSF feeding centre and a health post are looted in Kismayo in the south while MSF cars are ambushed several times between Baidoa and Mogadishu. In March, an Australian UNITAF soldier kills an MSF guard while on duty in Baidoa. In April, MSF programs in Baidoa close down. In March, the UN Security Council (UNSC) resolution 814 authorises the establishment of a large civilian and military peace support operation (UNOSOM II) to oversee the reconstruction of Somalia. In March and April, MSF carries out several evaluations which lead to the closure of nutritional projects. The famine emergency is considered to be over and enough food is available. On 6 June, MSF decides to close its programmes in the capital city. In early October, 18 American soldiers and hundreds of Somalis fighters are killed during the "battle of Mogadishu" following a failed operation to capture rebel clan leader Mohamad Aidid. The US subsequently withdraws from Somalia. A large cholera outbreak hits Somalia. MSF opens treatment centres and starts basic healthcare and vaccination campaigns in Mogadishu. The US mission formally ends in March. After the departure of UNOSOM in March 1995, international attention turns away from Somalia. The Somali people are forgotten, even as they are forced to contend with sporadic combat between warlords. The Islamic Courts Union (ICU) progressively gains influence and power with the support of Eritrea. The majority of international nongovernmental organisations withdraw from the country. MSF decides to return but humanitarian work becomes increasingly difficult. Following the kidnapping of an aid worker in Mogadishu, most international staff withdraw from the capital. The last of the UN forces leave the country in March. In February and March, local MSF staff responds to cholera outbreaks in Kismayo and Mogadishu. From July onwards, MSF expands its activities in Kismayo Hospital. In January, MSF launches medical and nutritional interventions in a 40-bed hospital in the southern city of Bardere and resumes its cholera interventions in Mogadishu and Kismayo. The security situation remains very volatile. In November, an MSF anaesthetist is killed in Kismayo due to a dispute between clans. From October to January 1997, a measles outbreak hits Mogadishu, and MSF conducts a vaccination campaign. In January, MSF begins supporting Galcayo Hospital in central Somalia, (which becomes the Puntland state of Somalia in August 1998). MSF's cholera treatment centre in Mogadishu reopens, but an MSF logistician working in the capital is killed in May. In April, MSF starts working in Baidoa Hospital, supporting post-operative and nutrition activities and providing medical supplies. But on 20 June, Dr. Ricardo Marques of MSF is murdered in Baidoa Hospital. MSF subsequently ends all activities in Baidoa and Bardere. In December, MSF provides medical support in the Jamaame and Marere areas in Juba Valley following heavy floods. The operation finishes the following March. Mogadishu and Kismayo are both again hit by waves of cholera. MSF opens a cholera treatment centre in northern Mogadishu and treats 3,000 people. The centre is robbed in April and the teams there are threatened. All international teams evacuate until September. Several evacuations also occur in Kismayo and Galcayo due to insecurity. MSF extends its coverage in Galcayo Hospital to include maternal care. In October, the entire team is forced to evacuate after armed men rob the compound. Two months later, MSF returns and responds to a cholera outbreak. Kismayo is extremely unstable due to fighting between clans and the Islamic Courts Union (ICU), making it impossible to keep international staff there on a permanent basis. Somali staff takes responsibility for MSF's activities in Kismayo, with international staff making flash visits to support their efforts. MSF reopens its cholera treatment centre in Mogadishu and treats patients from January to July. That month, two international aid workers are taken hostage in the southern part of the capital following an attack on their compound. In August, clan leaders and senior figures meet in Djibouti and elect Abdulkassim Salat Hassan president of Somalia. The aid workers are released in September. MSF evacuates all of its teams in the capital until November. In April, an MSF midwife is threatened with a gun in MSF's Galcayo Hospital maternity ward. In Kismayo, a UNICEF plane is shot at. In June, MSF launches a medical and nutritional project in Huddur, in the southwestern Bakool region. After two months, in response to the situation at hand, it becomes a visceral leshmaniasis (kala azar) treatment programme. In March, the MSF compound in northern Mogadishu comes under heavy fire in an armed attack. MSF halts its cholera interventions in the area. MSF also closes its project in Kismayo later in the year due to recurrent security incidents. MSF treats 27,000 children as part of its measles vaccination campaign in the Bakool region. Fighting in southern Somalia forces 10,000 people to flee to Kenya. In October, MSF clinics in Aden Yabal, in the south-central Middle Shabelle region, are attacked. One person is killed, three are injured. MSF teams reopen programmes in Mogadishu. In December, after an MSF guard is killed during an attack on another organisation's compound in Marere, MSF evacuates its team from the area. In January, MSF teams respond to a measles outbreak near Dinsor, a town in the southwest where MSF also runs a 35-bed health centre. In November, a transitional federal government is inaugurated, though its members are still exiled in Kenya. Abdullahi Yusuf Ahmed is elected president and recognised by most of the international community. Members of the Somali central government begin returning home from exile in Kenya. The ICU controls most of southern Somalia and is still gaining ground. In February, the transitional parliament meets in Somalia—in Baidoa—for the first time since it was appointed in 2004. Following heavy fighting against the US-backed Alliance for the Restoration of Peace and Counterterrorism, which is largely composed of warlords and businessmen, the ICU takes control of Mogadishu and parts of the south with Sheikh Sharif Ahmed as its leader. MSF runs a measles vaccination campaign in Mogadishu, vaccinating 26,240 children between the ages of six months and 15 years. In the Yaqshid North area, the teams vaccinate 54,897 children. MSF opens two new projects supporting hospitals in Dhusa Mareb and Guri El, in the central Galgaduud region. The African Union and the UN adopt a resolution in support of an Intergovernmental Authority on Development (IGAD) peacekeeping mission for Somalia (IGASOM) to be deployed in October. The Council of Somali Islamist Courts (CSIC, formerly the ICU) opposes the intervention of a regional peacekeeping body. In December, a US-backed Ethiopian military intervention defeats the CSIC, which capitulates on 27 December and abandons Mogadishu, then Kismayo. Dr Pierre from Paris operates on a gunshot victim in Baletwayne, Somalia, 2007. The UN-supported Transitional Federal Government, which officially rules Somalia, is at near constant war with the Islamist militant organisation known as Al-Shabaab. MSF expands operations throughout the country but obstacles continue to arise. In late 2011, two major acts of violence on MSF staff occur and have severe repercussions. President Abdullahi Yusuf Ahmed enters Mogadishu for the first time since taking office in 2004. A group of CSIC fighters launch a guerrilla organisation called the Harakat al-Shabaab Mujahedeen, better known as Al-Shabaab, a jihadist movement that soon develops ties with Al Qaeda. A UNSC resolution authorizes an African Union peacekeeping mission for Somalia (AMISOM). Once more, heavy fighting breaks out in Mogadishu and hundreds of thousands Somalis flee the capital. MSF opens a hospital programme focusing on surgical care in Belet Weyne, in the Hiraan region of central Somalia. MSF also opens a basic healthcare clinic in Yaqdish, in Mogadishu. By May, the team has treated 1,000 patients. Additionally, teams open three new outpatient clinics for children in Balcad, Karaan, and Lido over the course of the year. In December, the Lido clinic is reinforced with an inpatient ward. In Jamaame, in the Lower Juba region, MSF sets up a 30-bed hospital with a large nutritional programme and outreach activities. MSF also opens a project in Hawa Adbi, outside of Mogadishu, supporting the area's paediatric ward, focusing on nutrition, and distributing non-food items to people displaced by the fighting. MSF also begins assisting displaced people in Afgooye, outside of the capital. In August, an MSF driver is killed in Mogadishu. In September, MSF starts providing emergency surgical care in a hospital in Daynile on the outskirts of Mogadishu. The same month, MSF begins an emergency surgical project in Kismayo. The number of Somali refugees who have fled the country rises above one million. In January, three MSF employees are killed in Kismayo. MSF closes its projects there. MSF evacuates all international staff from Somalia in April. A new strategy of remote management is put in place. International teams based in Nairobi manage Somali staff teams inside Somalia that run the day-to-day operations. In September, MSF closes its programmes in the Wardigley and Hodan areas of Mogadishu due to increased security risks for MSF patients and staff. Ethiopia completes its withdrawal of troops that started in December 2008. Al-Shabaab fighters overtake the town of Baidoa, which had been a key stronghold of the transitional government. Parliament elects Sheikh Sharif Sheikh Ahmed as president and extends the transitional government's mandate for another two years. MSF provides free basic healthcare and nutritional care to vulnerable people in Somaliland, focusing on children under five in Hargeisa. Teams treats more than 400 children for measles in the Guri El area, in the central Galgaduud region. In April, two MSF international staff are abducted and held for nine days in the southwestern Bakool region. They are released unharmed. MSF closes its health centre in Huddur after nine years. In June, a rented MSF vehicle is attacked in Galcayo. The caretaker of an MSF patient is also killed. In July, amidst heavy fighting, MSF closes its paediatric hospital and three health clinics in the Yaqshid, Karan, and Abdul Azziz areas of northern Mogadishu. Armed men raid and loot the MSF nutritional treatment centre in Jilib, in the Lower Juba Valley. In April, MSF conducts an "eye surgery camp" in Galcayo. The project screens 3,000 people and operates on more than 600, in some cases restoring the sight of people who had been blinded by cataracts for years. In May, MSF opens a new outpatient facility for children under the age of 12 in Galcayo. In June, MSF opens TB departments in two of its health centres in the Middle Shabelle region, in Mahaday and Gololey. In July, the Al-Shabaab claim responsibility for twin bombings that killed 74 people in Kampala, Uganda. AMISOM's mandate is reinforced and its numbers rise to 10,000 soldiers from Uganda and Burundi. MSF teams close their medical project in Hawa Abdi, on the outskirts of Mogadishu, in early September, after three years. In Marere, in the Lower Juba region, the provision of medical care in MSF facilities becomes more difficult after the local administration imposes a number of restrictions on operations, including a ban on receiving medical supplies by plane and a prohibition on visits from international staff. In December, MSF employs telemedicine in Istarlin hospital in Guri El, allowing a medical specialist in Nairobi to provide direct, real-time support to doctors working in Istarlin's paediatric department. In March, following two grenade attacks on its compound, MSF temporarily suspends medical activities in the Dharkenley district in Mogadishu. When a severe drought hits East Africa, compounding the toll already taken by conflict and the longstanding lack of development and humanitarian access, some 2.8 million Somalis, according to UN figures, find themselves in urgent need of food aid. Displacement camps in neighbouring Kenya and Ethiopia are overwhelmed with new refugees. Around 150,000 newly displaced people arrive in Mogadishu. MSF scales up operations to respond to the large numbers of new arrivals and to counter and prevent outbreaks of measles and other communicable diseases. MSF expands operations in Somaliland, providing support in Burao (also called Burco) general hospital, the only public health facility in the Togdheer region. Admissions triple and mortality rates drop in the maternity ward. MSF also continues to support the district hospital in Ceerigabo but hands over its programs in camps for displaced people in Hargeisa to the Ministry of Health and another agency in the area. In September 2011, MSF was providing free medical care in eight regions: Bay, Hiraan, Lower and Middle Shabelle, Galgaduud, Lower Juba, Mudug and Mogadishu. More than 1,400 Somali staff, supported by approximately 100 staff in Nairobi, are providing free basic healthcare, surgery, treatment for malnutrition, as well as support to displaced people through healthcare, vaccination, water supply and relief items distributions. MSF was also providing medical care to Somali refugees in Kenya and Ethiopia. MSF does not accept any government funding for its projects in Somalia. All its funding comes from private donors. As projects show a steady number of measles cases—3,049 between January and September 2011—MSF battles outbreaks of measles and cholera in and around the town of Marere in the south, where around 5,000 Somalis fleeing conflict and drought in their villages are now seeking shelter. MSF vaccinates more than 50,000 children against measles between July and September, mostly through outreach activities and small-scale immunisations, despite difficulties, constraints, and concerns for the safety of medical staff. Vaccinations campaigns require MSF to first undertake time-consuming negotiations with local leaders, authorities, and even armed groups who control particular areas of central and southern Somalia to allow work that could save thousands of lives to go forward. Negotiations also often extend to simpler things like hiring people and vehicles. More than 150,000 Somalis leave the provinces of the country's central region—Bay, Bakool, Hiran, Lower and Middle Shabelle—to seek refuge in Mogadishu between July and October 2011. This large-scale displacement of people is the result of poor agricultural production, loss of livestock due to drought, increasing prices and perpetual insecurity. Between early August and October, MSF vaccinates more than 40,000 children under the age of 15 for measles. Many more children need to be vaccinated to get the epidemic under control, but logistical and security constraints limit what the teams can do. MSF manages four therapeutic feeding centres in Mogadishu, where the estimated population of more than one million people is believed to include half a million displaced persons. Medical needs far exceed available health services and more people continue arriving daily. On 13 October, gunmen attack an MSF team in Dadaab refugee camp, Kenya, on the border with Somalia, injuring driver Mohamed Hassan Borle and abducting two international staff, Montserrat Serra, and Blanca Thiebaut, both Spanish citizens working for MSF in the Ifo 2 camp in Dadaab. The attack forces MSF to evacuate part of its team working in Dadaab, suspending the delivery of some crucial medical services for thousands of people in urgent need of humanitarian aid (although lifesaving activities in the Dagahaely camp continue). Also in October 2011, heavy fighting in Daynile, on Mogadishu's outskirts, forced MSF to suspend a measles vaccination campaign that had been scheduled to last three weeks and that was to reach 35,000 children. Teams nonetheless receive 83 people wounded in the fighting, hospitalising 41 and performing 11 surgical procedures. Dozens of people are wounded in an 30 October aerial bombardment that hit a displaced persons camp in Jilib, southern Somalia. MSF treats the wounded in Marere, but at least three people are reported dead and 52 injured, mostly women and children. Refugee camps in Ethiopia are home to roughly 130,000 refugees from Somalia, the majority of whom have fled an ongoing food crisis and conflict. By November, around 300 people are crossing the border into Ethiopia each day, up from 90 per day two months earlier. "At the moment, the capacity to receive more people and provide the necessary food, nutritional care, medical care, drinking water, sanitation and more, is grossly insufficient,” said Wojciech Asztabski, MSF project coordinator in Dollo Ado, Ethiopia. Since May 2011, MSF has dramatically scaled up its medical programs to help bring mortality rates under the emergency threshold of one death per 10,000 people per day, but the organisation warns that the emergency is far from over. In less than six months, MSF provided intensive medical care to more than 10,000 severely malnourished Somalia children in northern Kenya's Dadaab refugee camp, in eastern Ethiopia's refugee camps in Malkadida, Kobe, Bokolmayo, Hilleweyn, Dolo Ado, and across much of Somalia itself, in Marere, Beletwayne, Dinsor, Daynile, Mogadishu, Jowhar, Guriel and Galcayo. As of November 2011, MSF had also enrolled a total of 54,000 severely malnourished children in outpatient feeding programmes in more than 30 locations in these three countries. At the same time, MSF teams have been battling the deadly combination of measles and acute malnutrition, which affects children in particular. On 29 December, MSF confirms that two of its staff members were shot and killed at the MSF compound in Mogadishu. Philippe Havet was an experienced emergency coordinator from Belgium who had worked with MSF since 2000, and Andrias Karel Keiluhu was a doctor who had worked with MSF since 1998. The killings force MSF to suspend all activities in the capital's Hodan district, including at some of MSF's largest facilities in the country, reducing by half the assistance teams can provide in Mogadishu. A severely manourished child is examined by an MSF medical officer in Dagahaley, one of three settlements in Kenya's sprawling Dadaab refugee camp. MSF puts on hold any opening of new nonemergency projects in Somalia while its two colleagues abducted from the Dadaab refugee camps in Kenya are held against their will in Somalia. The nutritional crisis of 2011 in south and central Somalia further damages coping mechanisms and causes massive internal displacement as people search for food and security. There are some improvements in security in the country in 2012, but the majority of people are still living in crisis. In February 2012, life in the Dadaab refugee camps of northeastern Kenya, which collectively form the largest refugee camp in the world, is becoming more difficult every day and hundreds of thousands of refugees are facing a humanitarian emergency. Most MSF activities remain suspended. The relocation of families to the newly opened camps of Ifo 2 West and Ifo 2 East continues, but work to ensure sufficient services has been slow to restart, and some people remain on the outskirts of the camps in so-called “self-settled areas” where living conditions are still extremely poor. In March 2012, as measles sweeps through parts of southern Somalia, MSF treats several hundred patients, but security constraints prevent large-scale vaccination campaigns from being launched. In Somaliland, MSF helps ensure better access to healthcare and improves water and sanitation systems in detention centres in Hargeisa, Mandheera and Burao (also called Burco), and continues to work with the Ministry of Health at Burao General Hospital. On 30 March, 2012, mortars land in Daynile Hospital, damaging the emergency room and the surgical ward. No one is injured, but MSF makes another call for parties to Somalia's conflict to respect the neutrality of medical facilities and the safety of patients and hospital staff. MSF teams in Somalia's Middle Shabelle region continue responding to a cholera outbreak first detected in late March, running a cholera treatment centre in the town of Balcad and chlorinating water sources and distributing water-purifying tablets to affected communities. MSF in May 2012 hands over its project in Hiloweyn camp, one of the five refugee camps near the border between Ethiopia and Somalia, to ARRA, an Ethiopian refugee agency. The number of refugees crossing the border has decreased significantly since August 2011 from the height of the humanitarian crisis, but MSF continues to run stabilisation centres for severely malnourished children with medical complications in all five camps. Also in May, due to worsening security conditions, MSF makes the difficult decision to close its basic healthcare programs in Dhusa Mareb and Hinder. The 108-bed hospital in Belet Weyne, Hiraan region, is to be closed at the end of the year, and activities in Guri El Hospital, Galguduud region, are to be handed back to the community in January 2013. MSF had expanded its medical services in Galcayo North to include maternity and obstetric care in December 2011; in June 2012, the number of deliveries spikes to about 200 per month, with many mothers travelling from great distances. Somalia's maternal mortality rates are among the highest in the world, and the trials faced by many women giving birth here are immense. As of June 2012, the number of people registered as refugees living in the camps in Kenya's Dadaab area stands at 465,611; many thousands more are not registered. Most have suffered violence, hunger and terrible loss in Somalia before making the dangerous journey to Kenya in search of safety, shelter and assistance, only to discover that the camps no longer offer refuge. In July 2012, teams in Kismayo respond to a spike in cases of acute watery diarrhoea, treating patients at a cholera treatment centre and advising a population that forbids the use of chlorine to strain water through clean cotton fabric and boil it before drinking it, in addition to regularly washing their hands with soap. Since 2011, international funding for the camps has been cut by more than 40 percent, while the number of refugees has continued to increase. With the rainy season about to begin, there is an alarming lack of shelter and sanitation infrastructure. The temporary assistance being provided is clearly not enough, and it is only a matter of time before a new major humanitarian crisis again hits the camps. A year after the abduction of Blanca Thiebaut and Montserrat Serra, MSF again calls for their immediate release. In response to a November 2012 assessment showing alarming malnutrition rates in many parts of Somalia, MSF launches an emergency three-day intervention to provide urgent nutritional treatment and on-site medical care to children under the age of five. Over three days, 1,500 children are screened for acute malnutrition and 396 are admitted to MSF's nutritional programme. Additionally, some 380 children are immunised against measles, diphtheria, tetanus, whooping cough and polio. In February 2013, the as the UNSC deliberates the future structure of the UN's mission in Somalia, MSF releases a statement from Jerome Oberreit, MSF Secretary General, saying in part that "as many Somalis continue to struggle to obtain the basic necessities for survival, such as food, healthcare, and protection from violence, humanitarian assistance must remain a priority and it must remain completely independent of any political agenda. The humanitarian aid system must not be co-opted as an implementing partner of counter-insurgency or stabilisation efforts in Somalia." On 14 August, 2013, MSF announces the closure of all its programmes in Somalia as a result of too many attacks against its personnel and an environment where armed groups and civilian leaders increasingly support, tolerate, or condone the killing, assaulting, and abducting of humanitarian aid workers. MSF mobile team doing measles vaccination, screening for malnutrition and providing care to the sick children in IDP camps of Hodan District, Southern Mogadishu, Somalia. Over its 22-year history in Somalia, MSF has negotiated with armed actors and authorities on all sides. The exceptional humanitarian needs in the country have pushed the organisation and its staff to tolerate unparalleled levels of risk—much of it borne by MSF's Somali colleagues—and to accept serious compromises to its operational principles of independence and impartiality. "In choosing to kill, attack, and abduct humanitarian aid workers, these armed groups, and the civilian authorities who tolerate their actions, have sealed the fate of countless lives in Somalia,” said Dr. Unni Karunakara, MSF's international president. "We are ending our programmes in Somalia because the situation in the country has created an untenable imbalance between the risks and compromises our staff must make, and our ability to provide assistance to the Somali people."